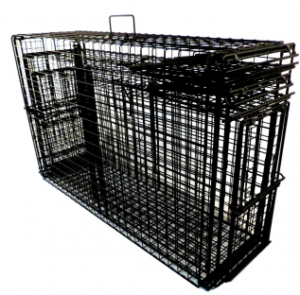 This small, light weight, simple setting tool in a “one size fits all” configuration is designed to work with all of the Comstock powered door cages with 9×11, 12×12 and 12×18 inch openings, yet it weighs only 6 ounces. 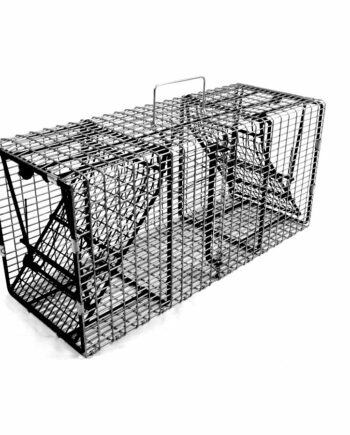 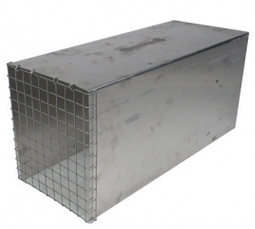 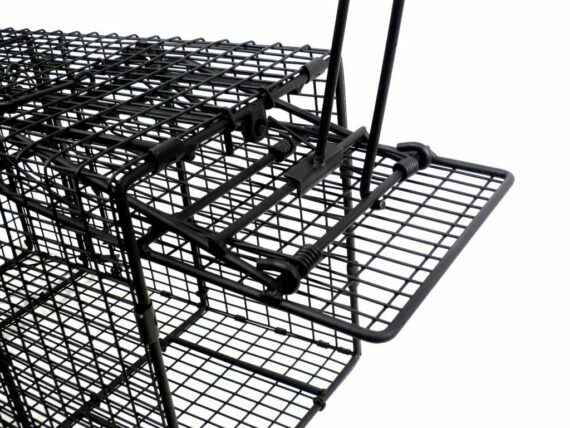 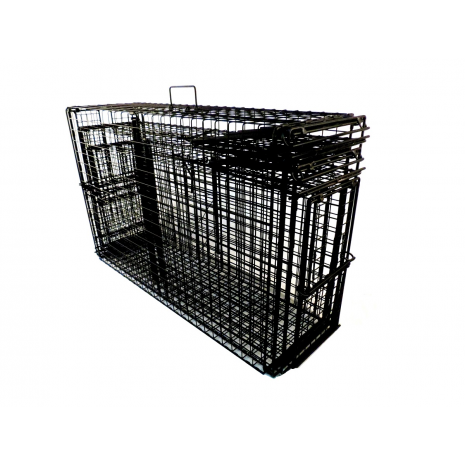 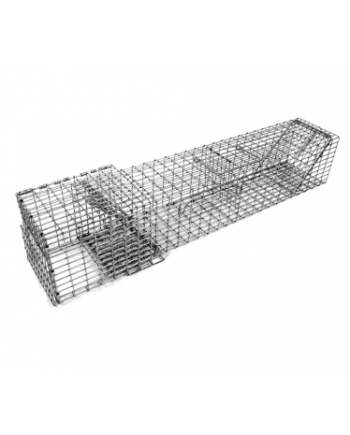 By adding a great deal of leverage, this handy setter not only makes setting the Comstock powered door cage traps fast and easy, it allows for the safe release of captured animals too. The handle keeps your hand up and out of the way, well above the trap as the animal exists the cage. 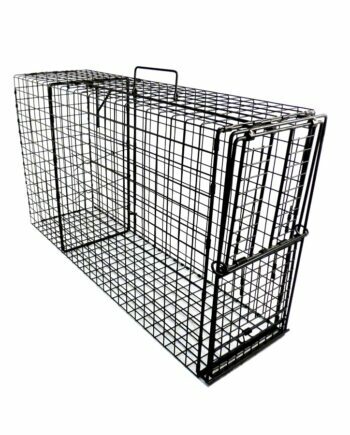 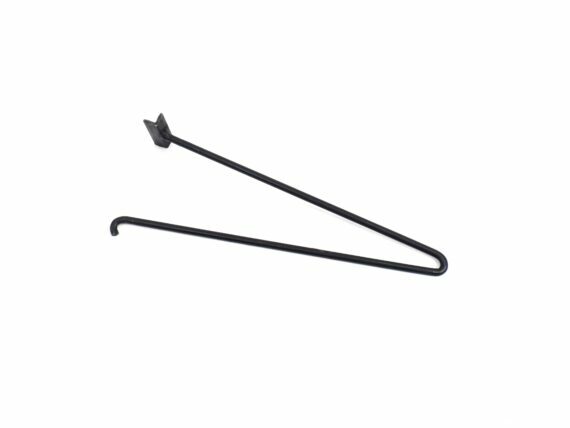 Of course, Comstock cages do not require the use of a setting tool, this just makes setting easier and releasing animals safer. 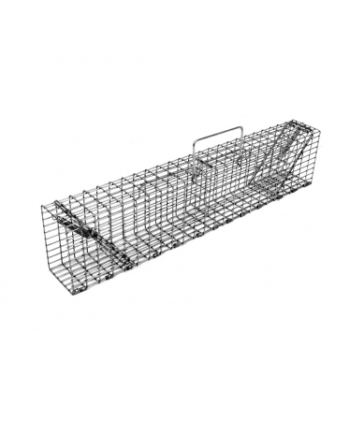 Note: If setters are not used, a Tomahawk cage separator tool can be used to keep the animal away from the door while using a single rod to hold the door of the Comstock Cage traps open. 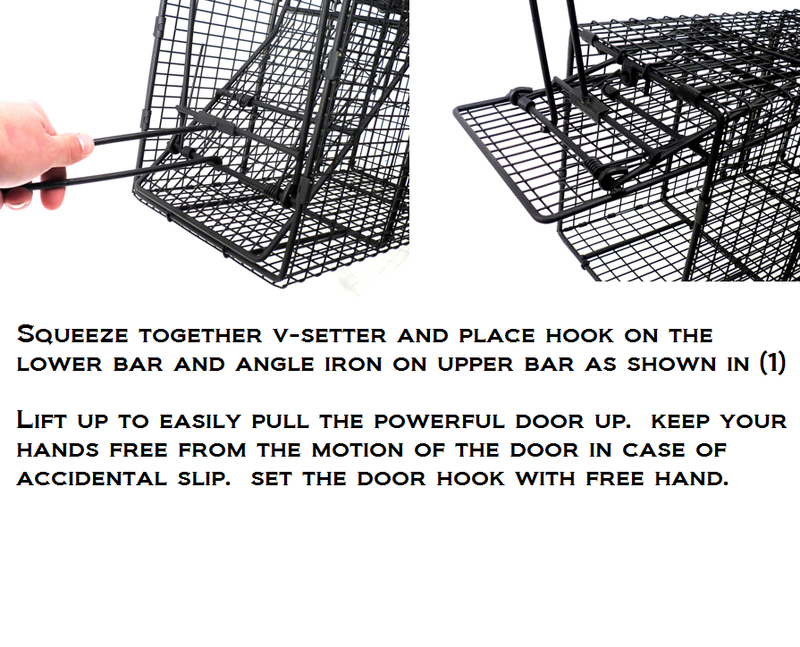 SET CENTER SWING BAR TAB, SQUEEZE HANDLE TOGETHER ON SPRING LOADED SETTERS AND PLACE SETTER AS SHOWN ON CAGE DOOR LOCK BAR , SIMPLY LIFT WITH ONE HAND AND LATCH DOOR HOOK ON TRIP ROD TAB.